Scoring is up in the NHL. But why? Nikita Kucherov is currently on pace for 125 points. An obvious stat to look at is the average number of power-play opportunities teams are getting each game. More man advantages, it would seem, might lead to more quality scoring opportunities. But power-play opportunities per game have actually decreased steadily since 2005-06, the season after the lockout, and are static when compared with last season, when the average goals scored per game was below 6. Among players who have played in at least half of their team’s games. The league did reduce the size of goaltending equipment again, but whether that meaningfully affects scoring numbers is up for debate. 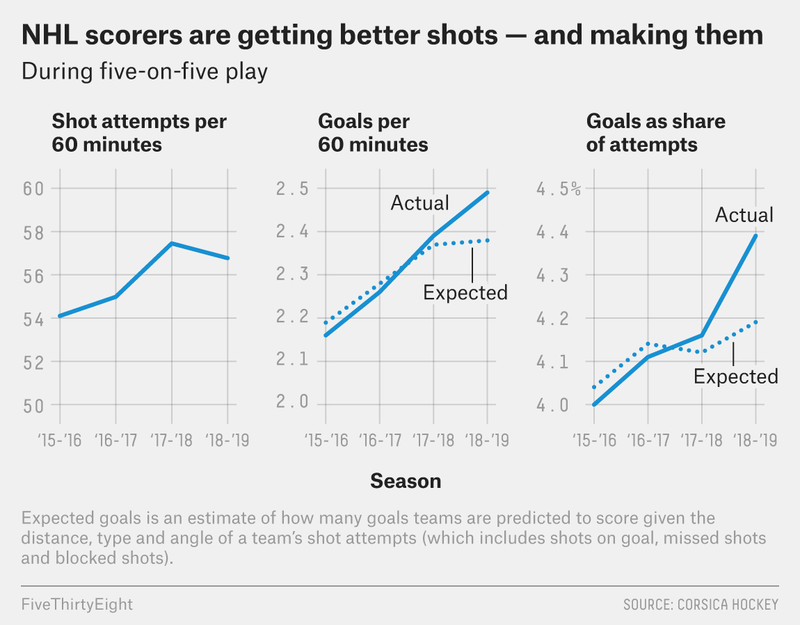 Expected goals functions as a proxy for shot quality.